Located in the McLaren Vale wine region in southern Australia, Clarendon Hills winery makes luscious, high-quality wines. The South Australian climate yields sun-ripened grapes that produce flavorful, consistently spectacular wines made in the Old World style. Until the turn of the 21st Century, Clarendon Hills followed Australian tradition, calling their wines made from the Syrah grape "Shiraz." Since 2000, however, Clarendon Hills has called the wines Syrah, in the European tradition of wines made from the grape. This change in name reflects the winery's Old World philosophy of winemaking that eschews technology and respects both the grapes and terroir. Clarendon Hills makes their wine by hand, choosing select single vineyard grapes, giving each of the wines they produce a unique sense of place. 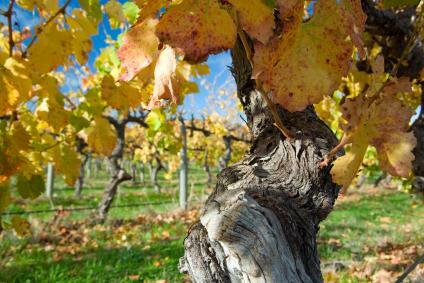 The winery's vineyards are primarily old growth vineyards with vines aged between 50 and 90 years old. Clarendon Hills currently offers the following Syrah wines. One of Clarendon Hills moderately priced wines (around $50), the Bakers Gulley Syrah comes from mostly young vines. Vineyard workers hand pick the grapes, selecting only the best. The winemaking team also hand selects the barrels, aging the wild-yeast fermented wine in approximately 60 percent new French oak and 40 percent aged oak for about 14 months. The resultant wine has smooth, integrated tannins and flavors of blackberry and black currant. Robert Parker rated the 2003 version of the wine at 91 points, suggesting it would age for about five or six years. Made from 25 year old vines growing in well-drained sandy soil, the Liandra Syrah has a tannic structure that allows the wine to drink well for a decade or longer. The wine tastes of black fruit with a subtle new oak toastiness. The wine also exhibits hits of minerality, earthiness, and smoked meats. The 2002 Linadra Syrah received a 92 rating from the International Wine Cellar and a 93 rating from Robert Parker. Wine Spectator magazine rated the 2006 Linadra Syrah an impressive 97 points, noting flavors of blueberry and boysenberry, as well as a long, silky finish. Fruit for the Moritz Syrah comes from 60-year-old vines growing in sandy soil with pebbled ironstone. The resultant wine tastes of blue fruits, coffee, leather, and roasted meat. Wine Spectator awarded both the 2005 and 2006 versions of this wine with 94 point ratings. This wine is made from grapes sourced from the Hickinbotham Vineyard. The combination of fruit from 45-year-old vines and aging in 85 percent new oak yields a consistently good wine that has received 90+ point ratings from Wine Spectator since 1998, and Robert Parker gave the 2005 Hickinbotham Syrah 97 points. With flavors of black fruits and dark chocolate, the wine contains a nose of ginger and allspice, as well as a lingering finish. Chocolate brown clay soil in the Brookman Vineyard nurtures 80+ year old vines, yielding lush flavors of blue-skinned fruits, roasted meats, licorice and spices. With a run of consistently good vintages since 2001, this is a can't miss wine. Robert Parker gave the 2002 Brookman Syrah 96 points, and Wine Spectator has awarded every other vintage since 2001 with 90 points or higher. Hand-picked grapes from 80+-year-old vines, 14 months of aging in 85 percent new French oak, and whole berry wild-yeast fermentation yield a well-balanced wine with integrated tannins, a silky finish, and lush flavors of licorice and grilled bread. Wine Blog Wednesday awarded the 2006 Onkaparinga Syrah 94 points. Since 1999, Wine Spectator has tasted this wine and loved it. With a string of 90+ point ratings, the Piggott Range Syrah needs to age for at least 15 years, but will drink well for several decades. Flavors include chocolate, blackberry, plum, and sweet spices. Try the 2005 Piggott Range Syrah, which received 97 points from Robert Parker and 95 points from Wine Spectator. It's a true classic. The flagship wine of Clarendon Hills, Astralis commands an impressive price, but delivers on its promise year after year. The 85+-year-old vines of the Astralis vineyard support low yields, and the winemaking team handpicks the berries. The wine spends 18 months in 100 percent new French oak. The care Clarendon Hills takes with this wine is obvious in the quality of the wines. Here are some of the many praises Astralis wines have garnered. 2006 Astralis - 98 points, Wine Spectator: "A big wine, but amazingly supple, graceful and pure, offering cascades of wild blueberry, black cherry and plum fruit that play against spices such as cardamom, clove and black pepper." 2005 Astralis - 99 points, Wine Advocate: "An ethereal bouquet of smoky oak, violets, espresso, black pepper, blueberry, and blackberry liqueur." Clarendon Hills produces wines of singular quality, employing wine making techniques including hand selecting the grapes, natural wild yeast fermentation, and careful aging. The result speaks for itself with consistently delicious, well-made Syrahs that represent the terrior and Clarendon Hills' focus on quality.